To continue detailing my previous trip this past September, I’ll discuss my day trip in Amsterdam! This is the information I learned while researching, and while there, and also my experience in the city eating out and getting around. I did safely eat here, but remember to contact each place for yourself. Amsterdam reminded me a lot of my favorite city- Copenhagen! So, in short, I absolutely loved it. I definitely want to return one year to explore it again and also see rural Holland in the Spring when the tulips are in bloom! I contacted a number of restaurants but we only actually ate at one: The Avocado Show. I was prepared here with my Dutch and French chef cards, but everyone spoke English in Amsterdam. I had a safe meal, albeit it was slightly underwhelming. They definitely hype it up with the decor, but the meal was only so-so. However, I did not have a reaction of any type and they were understanding and knowledgeable about allergies. I also emailed Vapiano/Vapiano People, which is an Italian type of chain restaurant with multiple locations around Amsterdam, and they let me know that no peanuts or peanut oil was used. When we got there I felt uncomfortable eating since it was packed and we were in a hurry to catch a train! The reason is because it was buffet style, so there is no server to talk to. If we had more time, I would’ve talked to the hostess more about my allergy and felt comfortable eaten there. Two places I contacted that I heard back from that DO use peanut products were 1. the popular local spot in a home dating back to 1539 called “Pancakehouse Upstairs“, at the time they let me know they do cook the pancakes in peanut oil, and 2. Brouwerij ‘t IJ a brewery with one of the last remaining windmills in Amsterdam, they have peanuts on their menu and were very upfront about it and warned me to not come in for a beer tasting. Marqt and AH Grocery both looked like nice grocery stores there with big selections, but we didn’t end up needing to go since we brought so many snacks with us! I did wear my mask on the train in and out of Amsterdam from Belgium when we were nearby people, but luckily it wasn’t a super packed ride in, so I was able to take it off some. I did wipe down the seats before sitting down. 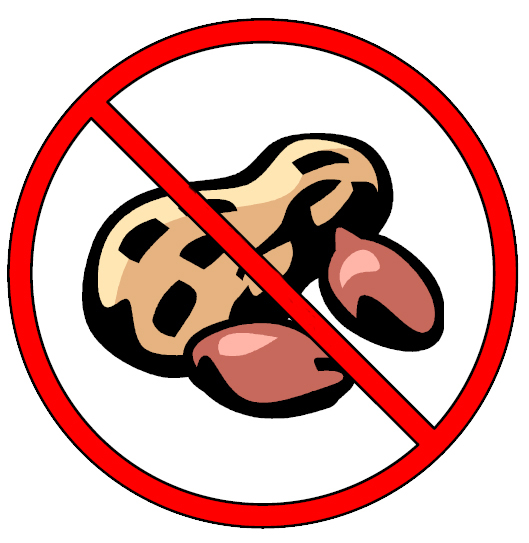 I had no issues with peanut products out & about at the Van Gogh Museum, it didn’t seem like people were snacking or eating there, and when I did see food for sale, I did not see any peanuts or peanut items. We also took advantage of the canals and rented a pedal boat to sight-see a different way on our own! We explored the Red Light District, Jordaan Neighborhood, and floating flower market with no issues either- honestly Amsterdam was super walk-able! If you’re into classic cars, 1hr -1 ½ hr away by train is the Lowman Museum. Haarlem is only 15 minutes outside of city by public transit, it has a dutch windmill, lots of shops, and monuments dating back 800 years, it was once a major North Sea trading port. Zaanse Schans is a 15 min train ride followed by a 10 min walk – In its 18th and 19th century heyday, the Zaan region was an important industrial area dotted by hundreds of windmills producing linseed oil, paint, snuff, mustard, paper and other products. Many choose to visit the Zaanse Schans as part of a guided tour or excursion, but the village is also easy to reach under your own by car or public transport – just catch the train from Amsterdam’s Central Station. A 15-minute train ride will take you to Koog-Zaandijk and it’s a 10-minute walk from the station. Just look for the windmills! That’s all I’ve got! I hope this is helpful, I highly recommend Amsterdam to anyone even remotely interested in visiting. It didn’t feel as touristy as I thought it would, and was very clean and quaint. My daughter is ANA to PN and TN. We loved Amsterdam as well, but it was definitely not an easy place to eat out. We found a wonderful restaurant, albeit not cheap, associated to the Rijks Museum called RIJKS (http://www.rijksrestaurant.nl/en/menu/lunch-dinner/). They didn’t really use nuts when we visited in 2016 (but the menu does change seasonally), but they were excellent at accommodating to our allergies (from bread to main course to desserts). We ended up eating there 3 times! Hi Kitty! I’m sure with both PN and TN it’s even more tough. That’s wonderful, and so good to know!! Did you have good luck finding safe & labeled products in stores there, or was that difficult?